Americans and Europeans lack widespread knowledge of civics. I don't mean abstract concepts of government but their practical application. For instance, why shouldn't the government handle all affairs? 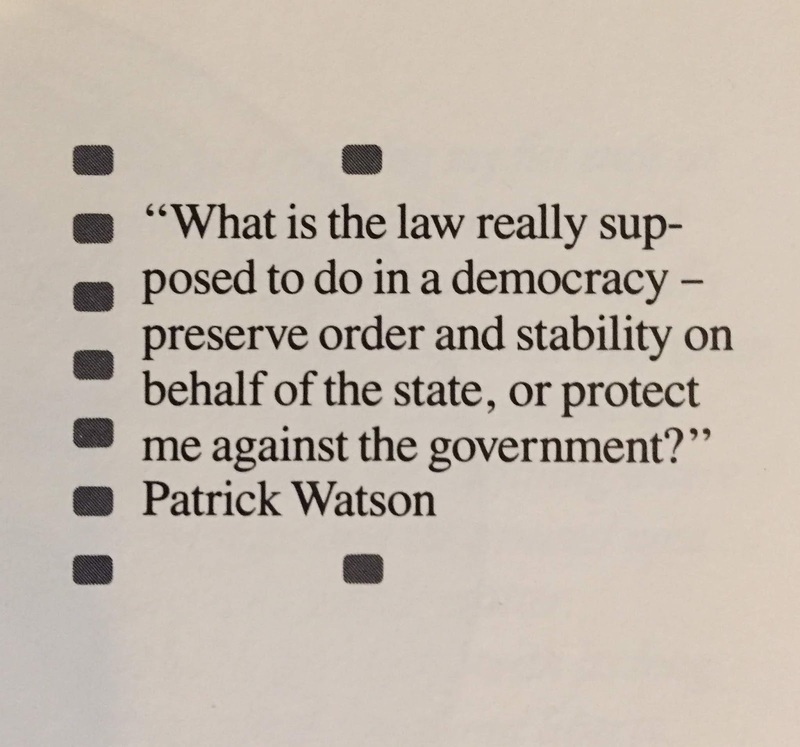 Is it checks and balances? Healthy competition? Consider that governments already have internal and external checks and balances. Internally, independent oversight exists through a judiciary and/or HR processes removing bad actors. Externally, privatization has become more common but one need only study America's private prisons to see secondary options don't necessarily increase accountability or efficiency. American-style corporate privatization hasn't provided superior oversight because boards of directors do not generally question executive decisions, and most shareholders are dispersed or inactive. Neville Isdell, Coca-Cola's former CEO, once described his distaste at a board member's meticulous research into different pay scales, implying the board member's diligence was unhelpful. Mr. Isdell worked his way up from lowly general manager to CEO, becoming one of the world's most level-headed and successful executives. If Mr. Isdell--and some might add Mr. Jack Welch and Mr. Jeff Immelt to the list--was unable to stomach dissenting or different voices on his board of directors, one can see vehicles designed to do x don't necessarily mean x will actually occur. Warren Buffett once wrote, "You only find out who is swimming naked when the tide goes out," and Americans appear to have accepted a default system that conceals rule-breakers or excessive risk-takers until after a crime has taken place--despite numerous regulations intending to discover miscreants in real-time. The clues point to one conclusion: systemic checks in the abstract don't matter as much as its participants' willingness to stress-test their ideas in an environment that promotes questions--and change. 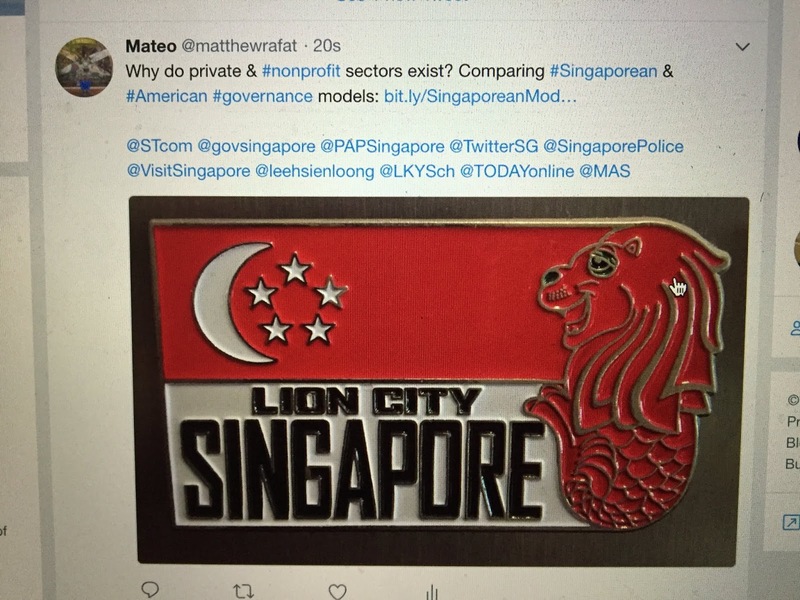 To take an example at the other end of the checks-and-balances spectrum, Singapore is essentially a one-party state run by the People's Action Party (PAP) and controls Temasek Holdings, a massive state-owned investment company. Despite this consolidation of power, no reasonable person thinks Singapore requires more political diversity to improve public responsiveness because the PAP has signaled it will not tolerate corruption. It helps that Singapore's lack of corruption is self-reinforcing--its presumed integrity functions as a powerful competitive advantage in a region with much larger, faster-growing economies. Even so, if almost-absolute power corrupts, why has Singapore succeeded? Someone wishing to play Devil's advocate might raise the case of Roy Ngerng, a Singaporean blogger sued for defamation. According to Singapore's Straits Times, "Mr Ngerng's post suggested that PM Lee had misappropriated Singaporeans' Central Provident Fund (CPF) savings [by likening] the Prime Minister to City Harvest Church leaders, who were at the time facing prosecution for alleged misuse of $50 million in church funds." Following a court-issued judgment of 150,000 Singaporean dollars, Mr. Ngerng apparently moved to Taiwan and "described the termination of his employment [in Singapore] as 'politically motivated.'" Ngerng then seems to weaken his own argument by revealing the subsidized(?) mortgage interest rate available to withdrawees: only 2.6%(!). To escape the implications of this wonderfully low interest rate, he adds to it the 2.5% assumed minimum interest on CPF funds, calculating the "real" mortgage rate [as] 5.1%--allegedly "a very high interest rate." 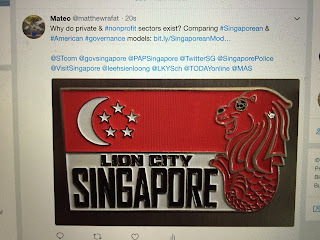 I'm not an expert on Singapore, but if you're not able to follow, just know the blog fails to consider complex regulations in light of a centrally-planned economy where the government provides subsidized flats. If I wanted to be critical, I would have argued the Singaporean government should be doing more to build and offer affordable flats for non-married permanent residents and non-married citizens, but that's a separate issue I didn't see anywhere in his analysis. Should the government have sued Mr. Ngerng for his poor writing? I think not--he seems more in need of an explanation of his own country's economic system than a lawsuit. If I were involved, I'd ask whether 150,000 Singaporean dollars is worth the risk that Singapore won't produce excellent writers (Kevin Kwan moved to the United States when he was 11) because they'll be too concerned with potential litigation. For a country priding itself on practicality, other approaches would have been more balanced in terms of boosting creativity while punishing lies. In any case, we now ought to agree types of systems matter when trying to maximize anti-corruption measures, creativity, public responsiveness and accountability, but their implementation is equally if not more important. Stated another way, it is better to live under an honest, wise king and queen than a Parliament, judiciary, and President comprised of fools and drunkards. Just for good measure, I'll create my own Singaporean "free speech" test by criticizing the Singaporean government and then alerting official government entities, including the police department, to this post: I'm visiting Singapore in 11 days, and I believe Singapore is making a mistake not accommodating Jehovah's Witnesses on the basis of the group's pacifist beliefs, which forbids them from participating in Singapore's mandatory military service. Refusing to make reasonable exemptions for religious minorities reflects poorly on large entities, whether countries or companies, and also demeans one's ability to claim diversity and tolerance. Singapore's strength is not just its reputation for integrity, but its diversity, and jailing anyone part of a longstanding, established religion for his or her sincere religious beliefs makes it harder to attract the best residents from around the world. Posted May 20, 2018. I will also demand a durian milkshake when I arrive. And that's how it's done, lah? Rather than checks and balances, I would argue a private sector exists 1) to improve civic responsibility by delegating authority; and 2) to increase the chances of attracting and developing talent that might otherwise go unnoticed. We've all heard it takes a village to raise a child, but the modern-day equivalent is an unfamiliar, foreboding city with numerous institutions disconnected from one other, vying to attract capital and talent. Over time, such an environment prioritizes maintenance of one's own organization and funding rather than the uplifting of one's country. Furthermore, as organizations become larger, they tend to rely on following orders for the sake of following orders, minimizing worker and citizen discretion in the process. Modern society has seemingly sacrificed individuality for the sake of the greater good, whether through ill-implemented quality control processes or indiscriminate technological surveillance. Individuals have rebelled by exempting themselves from rules designed to provide order, and along the way, enough factions have developed to render the intent behind most formal rules useless. 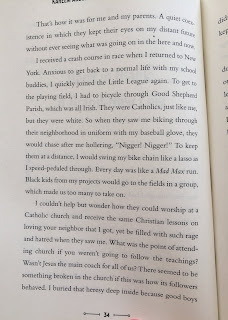 In almost every case, segregation--a way of avoiding useless rules and building community through "benign exclusion"--has created greater attenuation and thus less accountability. Whether the reduced accountability results from deliberate misinformation by hostile actors because of the greater levels of disconnectedness or more honest reasons, the result is the same: a lack of trust, which leads to less compassion, less tolerance, and less kindness. A society that delegates authority without maintaining informational integrity will find that civic responsibility--and therefore community cohesion--is negatively impacted. or nonprofits (in journalism and public resources, see Pew Centers, Annenberg, etc.) would. Indeed, why allow tax exemptions at all unless the beneficiaries seek out vagrants and unidentified talent and harness their energy to positive or at least non-negative uses? Although the private sector lacks a direct tax exemption, its ability to write off expenses or operate at a loss gives it more latitude to pursue different projects as well as hire persons unsuited to a 9 to 6 schedule. 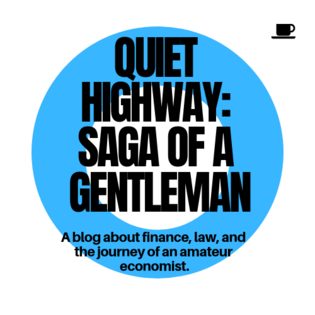 The private sector isn't attractive merely because it allows people freedom to experiment in ways less likely by career civil servants; it's also valuable because it can generally fail with less severe consequences (e.g., Sungevity bankruptcy, VW's emissions scandal, but see exploding Pintos, Deepwater Horizon oil spill) than governmental entities (Enron's request to use particular accounting standard, the Philando Castile shooting, Gulf of Tonkin, etc.). In the end, competition for talent--wherever it is--will arise between the private and public sectors, but neither sector can succeed without showing clear, tangible gains to the public. Such gains are not maximized unless every group's energy and input are included in meaningful rather than token ways. Generally, long-term costs of exclusion, even if unintentional, far exceed the costs of inclusion on the front end. To sum up, the nonprofit sector exists to capture blind spots and bring them into the fold, reducing fragmentation, and the private sector exists to encourage innovation and promote less rigidity. If the public sector seeks to elevate itself above the private sector through more favorable legal treatment, it will lose its integrity by failing to see the reason for its own existence: as a store of unassailable institutional knowledge and as a bulwark against short-term shifts in public opinion. As the modern economy has become more intangible (bits and bytes) than tangible (a new NASA Space Center in Houston, Texas), governments are hard-pressed to maintain credibility, especially as private and nonprofit sectors compete more aggressively for talent. The way to reverse this trend is not to argue, as President Obama and Senator Elizabeth Warren foolishly did when they said "You didn't build that [on your own]," but to acknowledge any successful economic system is complex and requires all gears to work together to move forward. It helps to have a 10 year budget with contingencies for revenue shortfalls, but many ways exist to blunt the argument that government doesn't care about a particular segment of society or is wasting taxpayer funds. Above all, governments must remember they exist not to be "umpires," as the current Chief Justice of the Supreme Court once said, but to create a store of long-term institutional knowledge that excludes the influence of marketing. To act as an objective store of institutional knowledge requires integrity, the sine qua non of any successful enterprise, but particularly in government, which must often act as a mediator or brake against excesses. In addition, without integrity, a government will soon find itself outflanked by the private sector even in areas like space exploration, where R&D may not see investment returns for decades. A government that can tax by force begins with a competitive disadvantage against the private sector; a government that taxes without the presumption of integrity will automatically injury-default to competitors. To be sure, a government with integrity has more leeway with the public, reducing the need for fragmentation. Consider the following novel idea: citizen morale can be improved by designating specific ombudspersons under each department accessible by phone and email and required to respond within one week to any citizen question or complaint. Ombudspersons would need to collaborate with each other and inform agency or department leaders of policy decisions, all of which would be publicly accessible. Citizens opposed to any ad hoc policies may then petition each other and local government to reverse decisions not in the public interest, but such reversal should not be based on public opinion. Customers are not always right, and neither are citizens. Ombudspersons would be valued based on abilities to provide and communicate objective, independent, and consistent guidelines and would serve 10 year staggered terms. This is one example of an idea that can only be done in a country where integrity is presumed in governmental ranks. The alternative seems to be a mishmash of rules and regulations no one understands, with the need to hire an expensive (and potentially dishonest) attorney. If legal alternatives become too expensive or onerous, loopholes will be sought, and segregation assured. I started this article comparing two countries with two different systems: one allegedly more authoritarian, and one allegedly more free. We should now see labels weren't very helpful in determining which system truly accomplished its goals. The deal between governments and citizens used to be straightforward: 1) don't question the King because his power comes from God; 2) in exchange for your loyalty, we'll give you the essentials, including shelter, protection, and food. Over time, more people clamored for greater transparency and participation, and as information and products once restricted to governments became publicly available, governments diverged. Some continued the older model of exchanging economic security or non-interference for obedience (or at least a lack of open criticism) while others encouraged transparency and open discussion. The push and pull between the private and public sectors has always occurred, whether the Dutch or British East India Companies and the House of Habsburg, or Amazon versus state taxing authorities. If it feels different today, it must be our own ignorance of history rather than novel developments. Looking ahead, it will be interesting to see how different governance models respond to severe recessions. A government that premises social stability on economic growth and less citizen participation seems to require perpetual GDP and jobs growth or immigration/population restrictions that reduce its talent pools. 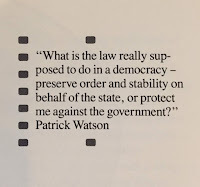 Today, the more participatory government model is embattled, not because of any inherent flaw but because of a lack of integrity: revelations have proven transparency was often an illusion and so-called democratic models were equally if not more authoritarian than more restrictive models. Even without the implicit promise of economic assistance, the participatory model still retains its attraction, indicating some atavistic force. Just imagine two households: in one, the children are always obedient to the parents, work hard, and receive guaranteed jobs in the parents' factory after finishing school. In the other, children are openly critical of their parents and voice their concerns loudly and often. Upon graduating college, they have no employment guarantee. Which scenario would you choose? The latter scenario is no longer clearly favorable because of modern-day dependence on debt and the failure to promote honest journalism, whether in the style of Studs Terkel or Edward R. Murrow. If you imagine the same comparison, but without student loans or four trillion dollars of corporate loans maturing in the next five years, the second scenario feels more attractive. Perhaps deep down, we need to know we can howl at the moon, even if our voices won't change its gravitational pull. Or perhaps we know a society that discourages questions will eventually become complacent and decline; segregate itself into a new caste system; or become subservient to a more open society. Whatever the style or reasoning, if governments claim to be open and free, they must actually be open and free. Some governments today claim to be anti-royalty while their ranks reek of nepotism or legacy political appointees; to favor merit while allowing loopholes and preferences for ever-increasing factions; and to uphold equality while creating separate processes for rank-and-file employees as well as executives. In the end, 'tis simple: "To thine own self be true"--or be prepared to fail under any system. Update on June 1, 2018: I had no issues whatsoever entering Singapore.